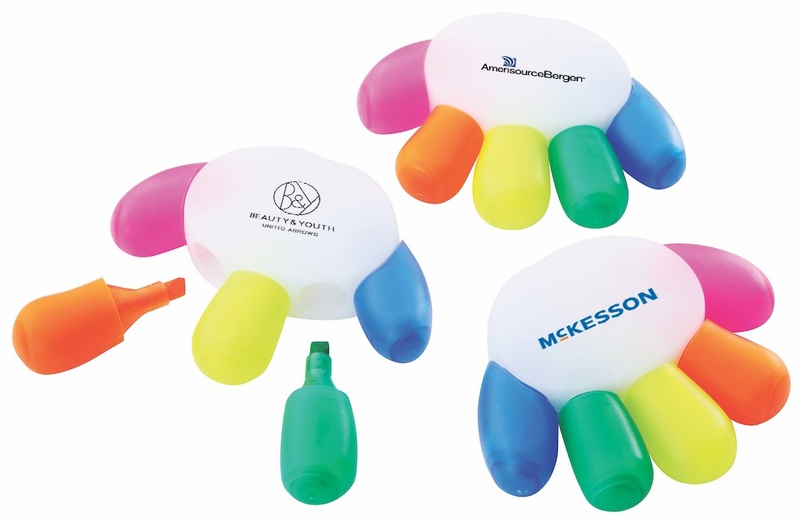 Bring a smile to your customers' faces with this fun 'handy' highlighter set. Five vibrant colour pen fingers slot into a white holder to make an appealing hand shape. Full colour print available on a white background for your message to have a clear impact.